The timing is right, the voice is right and the choice of Ella Fitzgerald songs is always right. Three rights gives you Jan Monheit coming to The Smith Center June 24 with selections from her new album, The Songbook Sessions: Ella Fitzgerald. The voice was right, obviously, as Monheit has been performing in the jazz and Great American Songbook genre since her early years. She was first runner-up in the 1998 Thelonious Monk Institute’s vocal competition at the age of 20, and her first album, Never Never Land, was voted “Best Recording Debut” by the Jazz Journalists Association and stayed on the Billboard jazz chart for a year. The selection was right, because one can never go wrong with Ella Fitzgerald songs. And, she is one of the icons who deserves a tribute. Monheit continues to run into people who have worked with Fitzgerald. Recently, in Washington DC, her sound technician told her he had worked with the legend. What is the reaction of young people who hear her perform the standards for the first time and approach her after the show? “You know, it’s funny. What I do tend to get from people who weren’t familiar with this music before is they think that I wrote all the songs. And, all I can think is, ‘Honey, I wish,’” she laughs. Ella Fitzgerald didn’t write the songs, but she paid it forward. 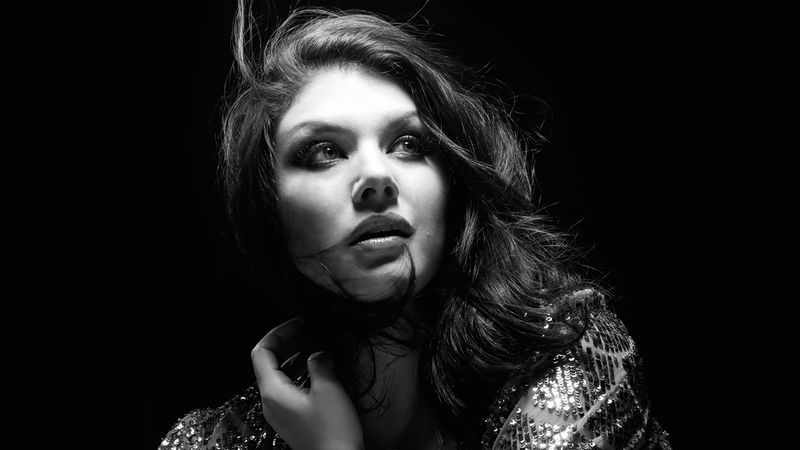 Jane Monheit didn’t write the songs, but she is now one of those paying it forward. Gershwin, Cole, Berlin, et. al. must be smiling at the future!